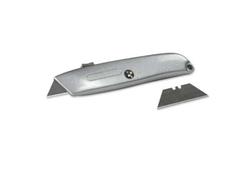 Product Description This die-cast utility knife is an all around versatile tool. Durable yet economical, it is a must for any tool boxes and for many cutting tasks. For the diverse requirements of our clients we are offering an extensive range of Refractable Utility Knife. These are in manufactured by our trusted vendors in compliance with various national and international standards. Offered products are highly appreciated in market due to their superior finishing and easy to handle. 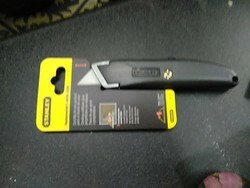 Size: Available Sizes (inch) : 8"
SKR 200 - Lightweight self-retracting utility knife.